The PGA tour rocks up in Texas this week for the Texas Open and tees up at the 7435 yard Greg Norman designed TPC San Antonio AT&T Oaks Course, with a little input from Sergio Garcia. 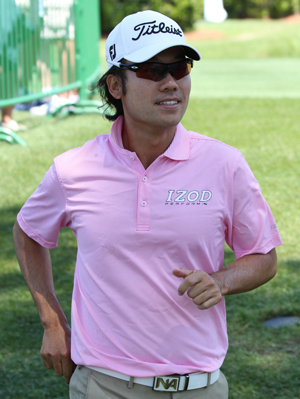 Just when he needed a good round Kevin Na 22/1 shot 73 for his final round in the Heritage, but even with shooting his best round I am not sure he could have caught Carl Pettersson. Kevin has made the Top 10 four times this year and with two other Top 25 finishes, he is due to add to his maiden win with last year’s Justin Timberlake Shriners Hospitals for Children Open. One of the most consistent players on the PGA Tour this year has been Johnson Wagner 25/1 who has one win and four Top 10 finishes under his belt this season, add another two Top 25 finishes and you can see why he’s sitting in fifth place on the FedEx Cup rankings. KJ Choi 25/1 has only played eight tournaments this year and started the season in great form finishing fifth at the Hyundai Tournament of Champions, but missed the cut at this year’s Masters. KJ always seems to be in the thick of it once he gets his game together and with this week’s tournament being wide open look for the South Korean to do well here. I have tipped Bud Cauley 28/1 several times in the last couple of weeks and after getting off to a good start at the Heritage, went backwards with his final two rounds. But this isn’t the strongest field of the year and represents a good chance for him to bag that maiden victory. Ex Walker Cup player Harris English 35/1 finished well in last week’s Heritage for his first Top 10 finish this season, adding to his four other Top 25 finishes. Harris won his first professional tournament not long after turning pro last year at the 2011 Nationwide Children’s Hospital Invitational, so look for him to feature here this week. 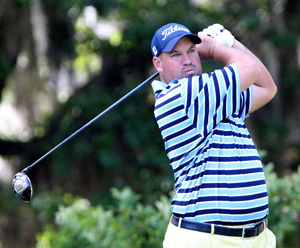 This week’s outside tip is Brendon De Jonge 60/1 I did tip him several times at the beginning of the season when he had a couple of Top 25 finishes but he seemed to go off the boil. It’s good to see he maybe heading in the right direction again and at these odds it looks quite good for the Zimbabwean.